Imagine gliding down steep, spiral hills in Manhattan on a longboard. This activity is one that junior boys have started at Rock Creek. Junior Jackson Meyer picked up longboarding as a hobby over the past year. Meyer started longboarding by first skateboarding, and then he heard about longboarding being less restrictive. “It’s crazy addicting,” Meyer said. Although Meyer started the longboarding trend at Rock Creek, there are a few others who also longboard, including juniors Nick Haverkamp, William Henry, Matt Pearson and Justin Ward. All five boys longboard together in the afternoons after school, in the evenings and on weekends, when they get a chance. Longboarding is similar to skateboarding, but with a few differences. The main difference is that a longboard is obviously longer, but also is not always symmetrical and has bigger wheels that roll better. According to the junior boys, good places to longboard are downhill, a nice road, the skate park and parking garages. The best clothing to wear while longboarding, the juniors said, are long sleeves, long pants, elbow pads, knee pads, Vans shoes and a helmet. The clothing is used for protecting the arms and legs from getting scraped up in case the longboarder falls, looking good and feeling good. The average longboard costs about $100 up to $300, but the professionals use longboards that can cost more than $600. The junior boys have boards that only cost from $100-$200, though. The best memories these boys have had while longboarding is having “gnarly wrecks” said Meyer, getting closed-lined and going down a big hill for the first time. 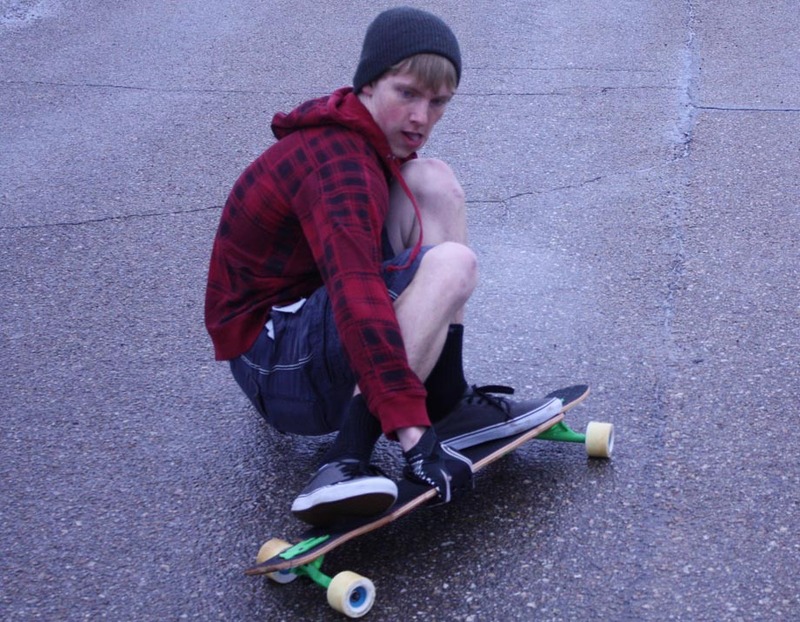 The first time Meyer wrecked, he fell off of his longboard and slid across the ground, which is similar to how one of Haverkamp’s wrecks happened, where he ended up getting his sweatshirt torn and his body scraped up.